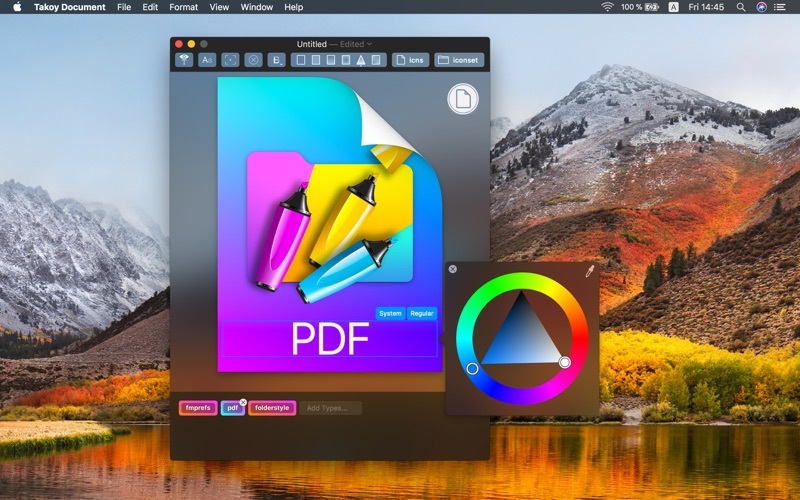 Create document icons associated with your application. 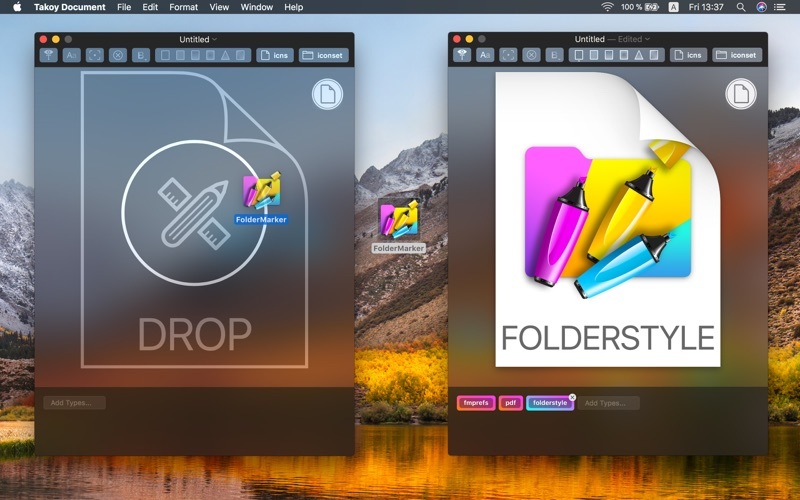 - Takoy Document identifies file types your app supported and uses the app icon for the formats. 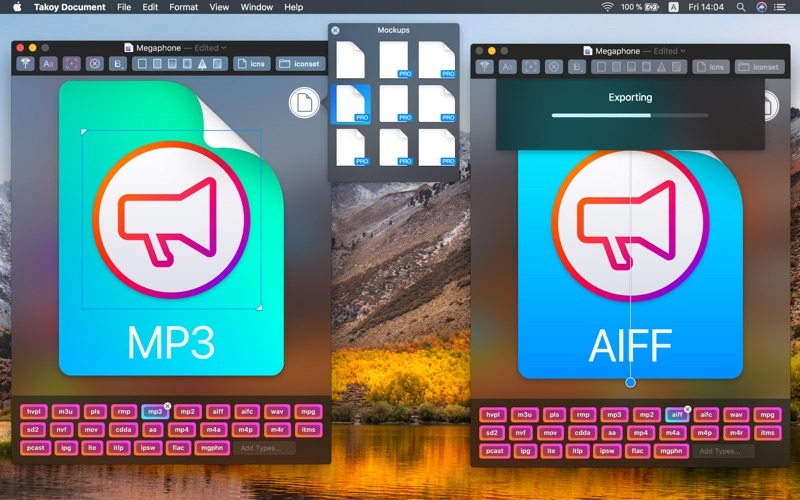 - Each document icon size will use appropriate size from app icon and apply it separately. 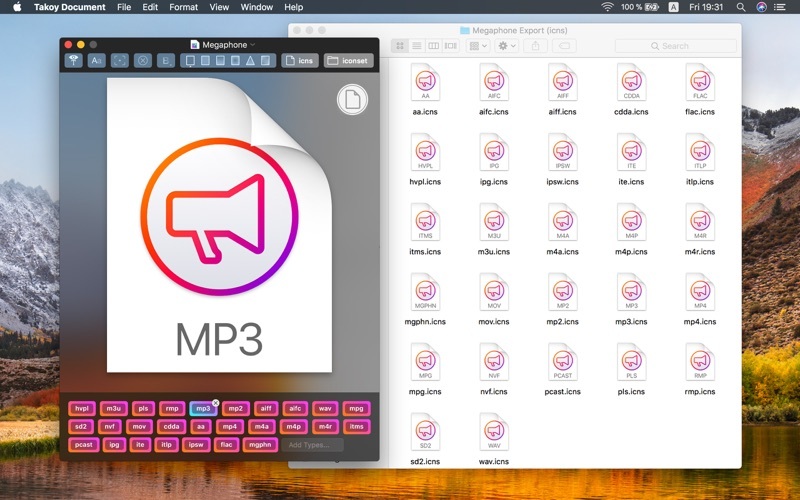 - You can use images instead of apps and edit file extensions by hand. - Export icon as ICNS or Iconset. - Edit text color, font family and font face. - Edit document background with solid fill or linear, radial, triangular, quadratic gradients. - Use image as background. - Change graphic objects by moving, resizing or applying blending modes.